Proposed AWPR junction at Stonehaven. A petition backing a call for a new Stonehaven junction for the Aberdeen bypass has received 100 signatures in just few days. 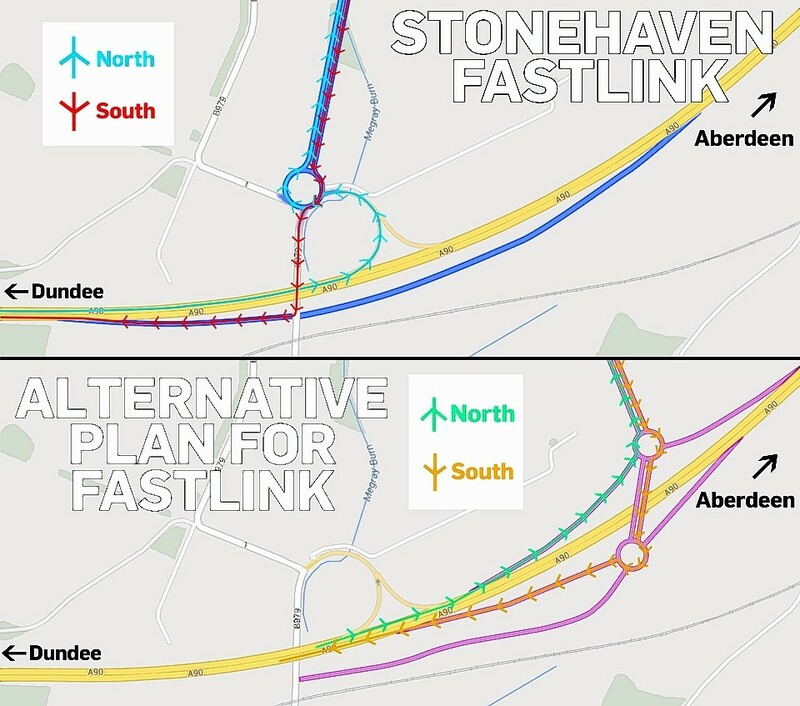 Local farmer David Strang Steel has offered land for free if the junction to the Aberdeen western peripheral route (AWPR) fastlink is moved a few hundred yards north. The current plan is to use about 70 acres of his land besides the B979, next to Ury Estate. Campaigners believe the proposed junction will create massive congestion. David Fleming, secretary of the Stonehaven Town Partnership, launched an online petition supporting the offer which has received 100 signatures in just four days. “It is pretty good going considering we have only just got it going and have not spread the word in any great detail yet. I am expecting a lot more in the future,” he said. Mr Fleming said considering Stonehaven’s population is only around 10,000 he would be delighted if the petition was backed by one or two thousand people.